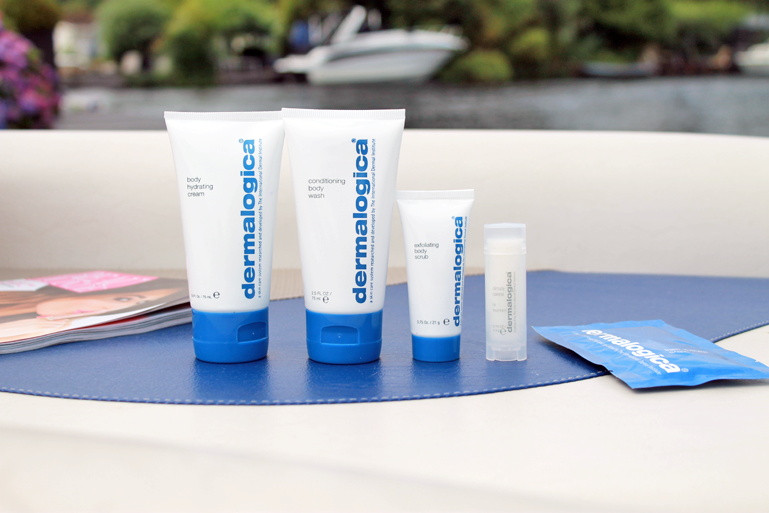 One of my favorite skincare brands, Dermalogica! 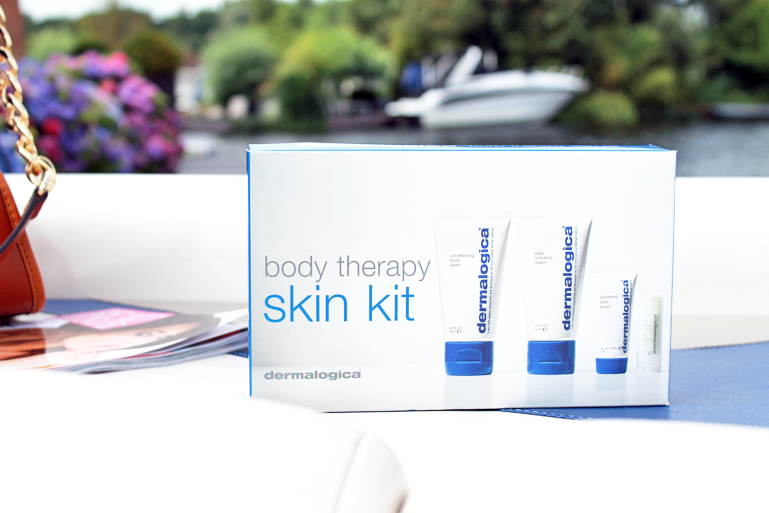 For the ones who would like to try some products or perfect for a short vacation: The 'Body Theraphy' Skin Kit. The Body Therapy system helps you create aroma therapeutic, completely customized and healthy spa experiences. Four products that are very good for every skin (skin-type/man-woman). Dermalogica never disappoints me. I like the very fresh fragrance of the products! 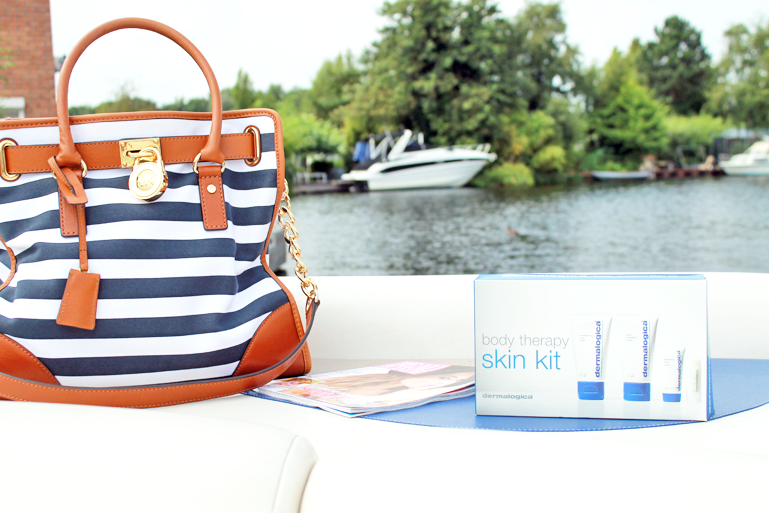 Body hydrating cream: Smooth and condition with essential oil-enriched body cream. Conditioning body wash: A rich, skin-conditioning and soap-free botanical cleanser for the body. Exfoliating body scrub: Lightly-foaming body scrub dramatically smooths, polishes and energizes skin. Climate control lip treatment: soothing balm relieves skin damaged by pollution, stress and climatic extremes. Hydro- active mineral salts: A sea-salt bath therapy for a remineralizing soak or all-over skin polishing. Help ease the body into deep relaxation with naturally-warming Coriander, Cinnamon and Ginger. When used as a scrub, Sea Salts and Kelp help smooth and polish skin. As a soak, these ingredients combine with stress-reducing essential oils of Sandalwood, Lavender, Orange and Clary Sage to render skin silky-smooth. Invigorate the body and senses with revitalizing Tea Tree and Lemon essential oils. Formulated without artificial fragrances and colors.